Monarch Housing Associates and the Housing and Community Development Network of NJ partnered with over 350 advocates who travelled to Washington, DC to meet with the New Jersey Congressional delegation to let them know that there should be No Housing Cuts and the need for investments for housing and homelessness prevention. 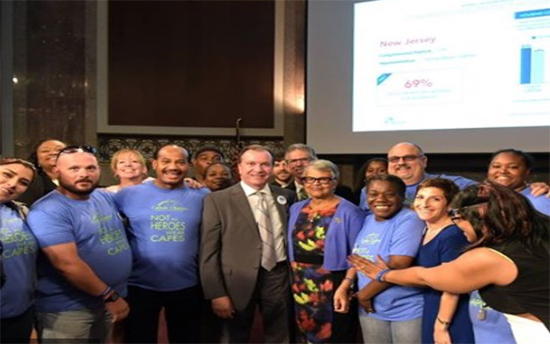 We were a proud sponsor of NJ Hill Day in addition to 23 organizations and 1 foundation. We spoke directly with Senators Cory Booker and Robert Menendez. Other elected officials who attended were Congresswoman Bonnie Watson Coleman, Congressman Donald Payne, Congressman Bill Pascrell, Congressman Donald Norcross, and senior staff members representing Congressman Frank Pallone, Congressman Leonard Lance, Congressman Chris Smith, Congressman Albio Sires, Congressman Frank LoBiondo and Congressman Rodney Frelinghuysen. Our delegation was heard and our message was clear. I was proud to represent the Mercer Alliance at this important meeting and acted as a “bus captain” for the Mercer/Cherry Hill contingent. Working together, we can, we must, we will end homelessness. 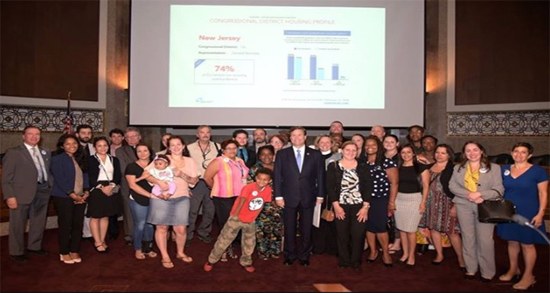 Congressman Norcross addressed the NJ housing advocacy delegation. Congressman Chris Smith, represented by Steven Valentine, addressed the 2016 Hill Day advocates. Congresswoman Bonnie Watson Coleman addressed the advocacy delegation. A summary of the day can be viewed by going to http://monarchhousing.org/2016/07/14/350-njadvocates-nohouisng-cuts/. Additional photos from this event can be found at http://monarchhousing.org/2016/07/15/nj-hill-day-2016-photos/.